Here is a selection of the custom equipment I built in the past. Far from complete though, hopefully I can find some pictures of more pieces of equipment…. 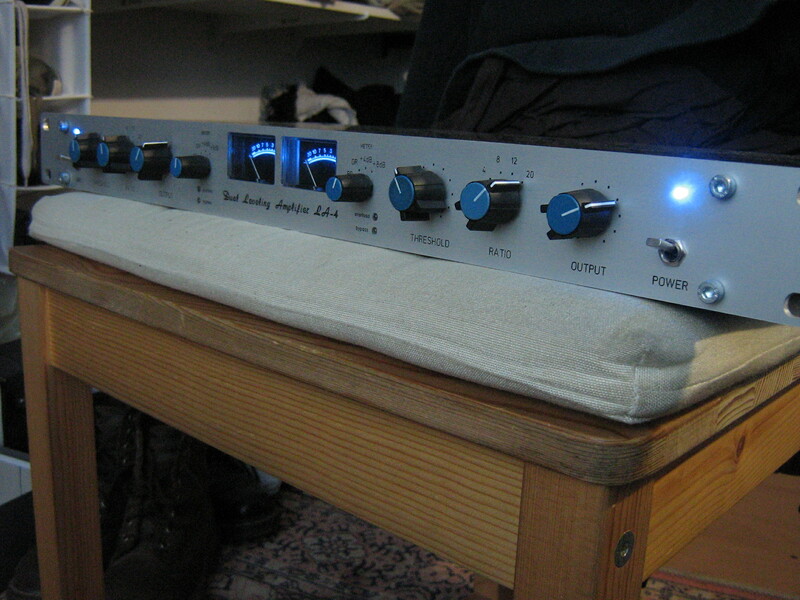 Dual LA4a compressor. Nice blue backlit meters…. 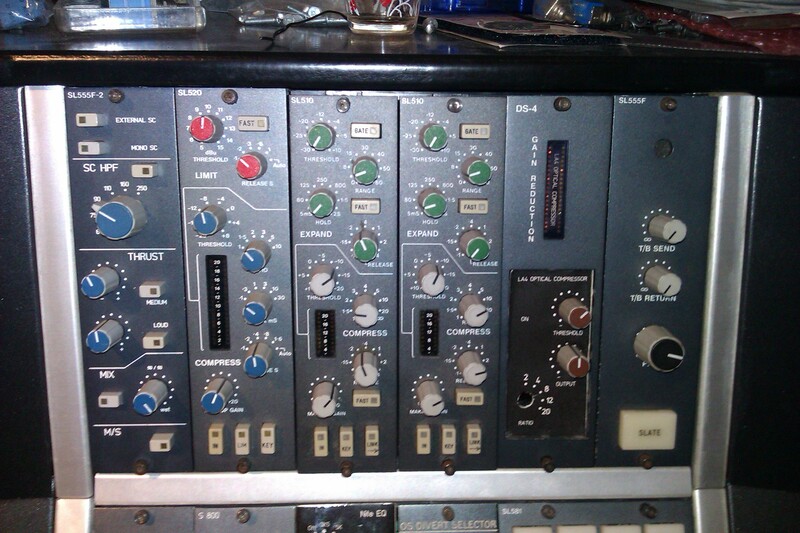 Racked Siemens W295 equalisers. 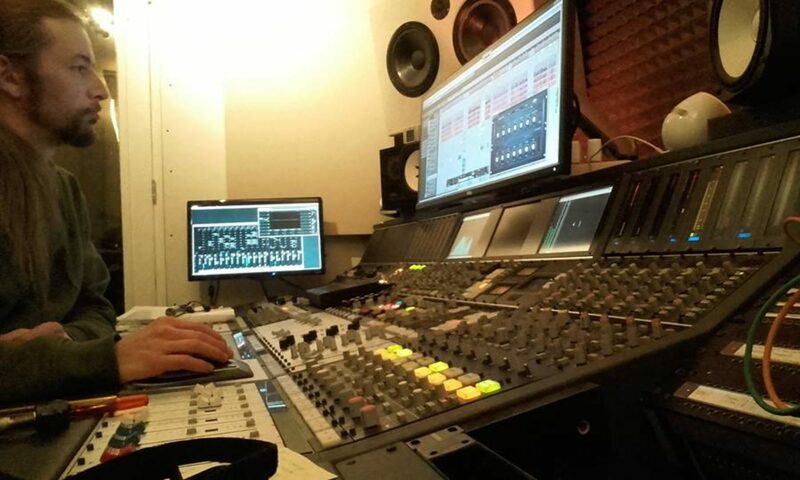 Currently in use in an SSL based studio in London. 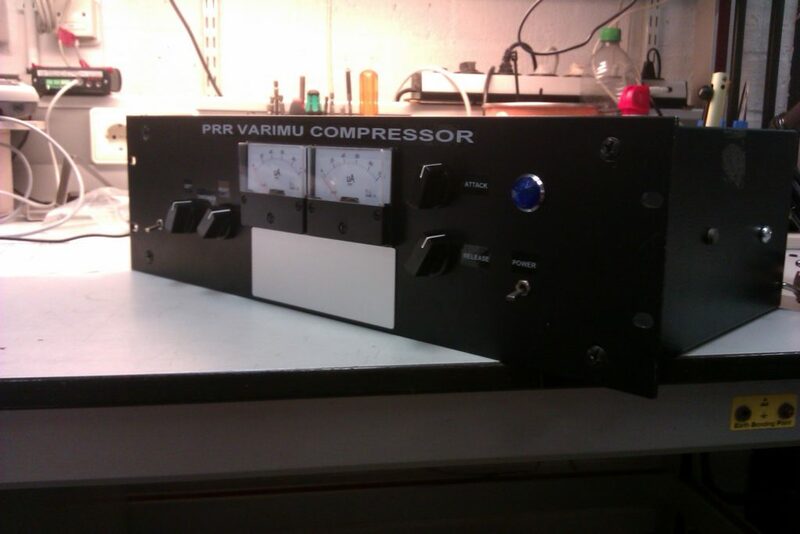 PRR VariMu compressor experiment. I sold it ‘working but unfinished’ because the frontpanel wasn’t finished. 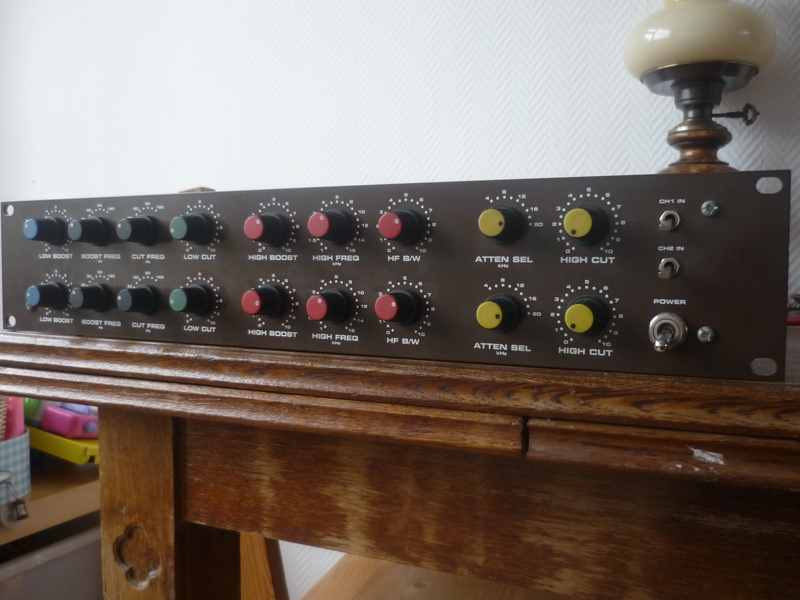 Sold it to a german recording engineer who actually preferred to keep the obvious DIY frontpanel, hahaha ! 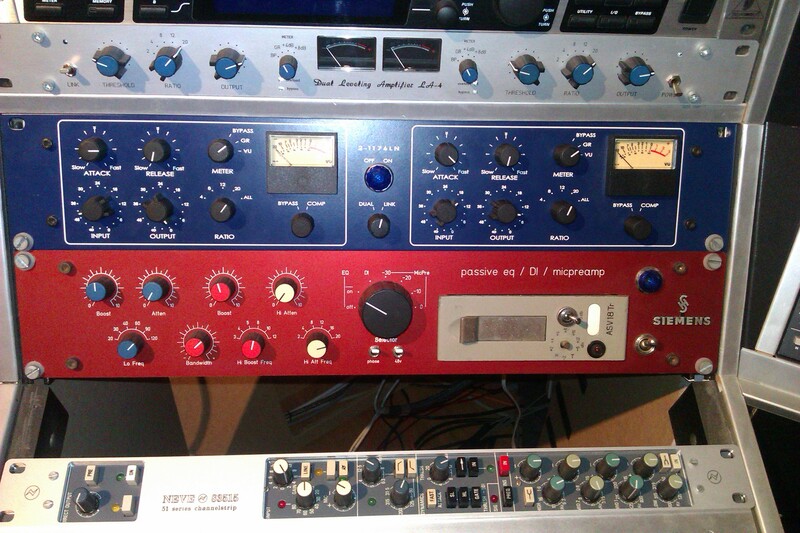 from top to bottom :- Custom dual LA4a compressor clone, –custom dual 1176 (gyraf clones), -‘Siemens Special‘: racked danner amp with Pultec eq filter in front, and relayswitched gainattenuator, and micinput with 48v. 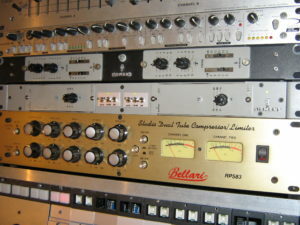 –Racked Neve 51 series console channelstrip. 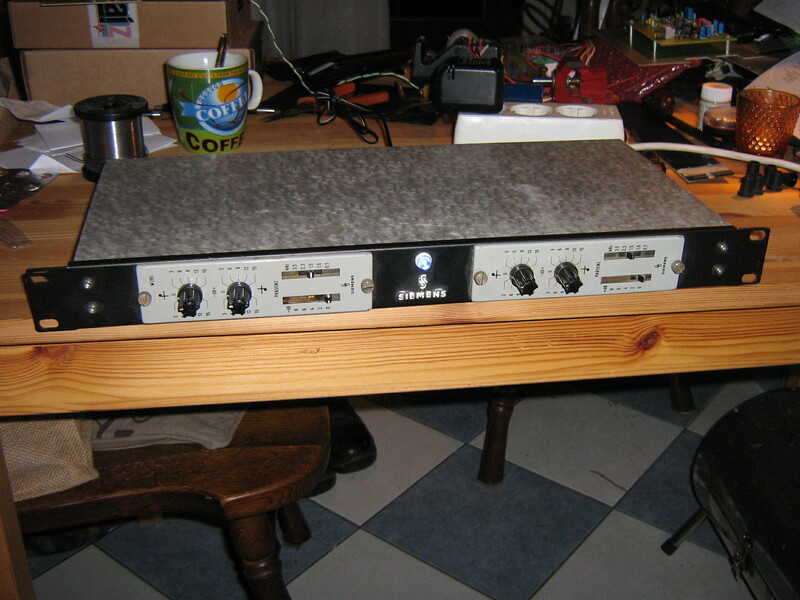 Neumann V475-2B summingbox. 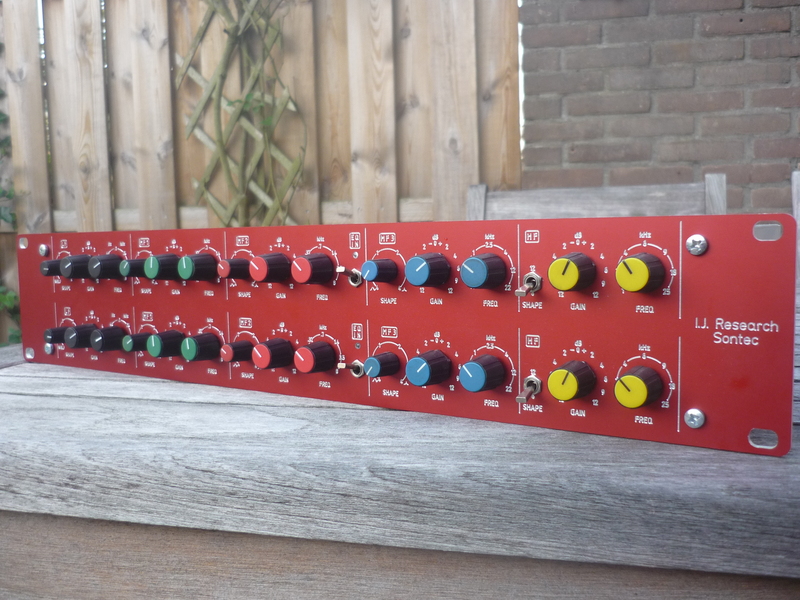 Based around a Neumann Eurocard format summing amp with an additional passive summing resistor network. The meters are from Eela. I managed to get hold on an amount of quad wafer attenuators, which I used for some of the inputs. 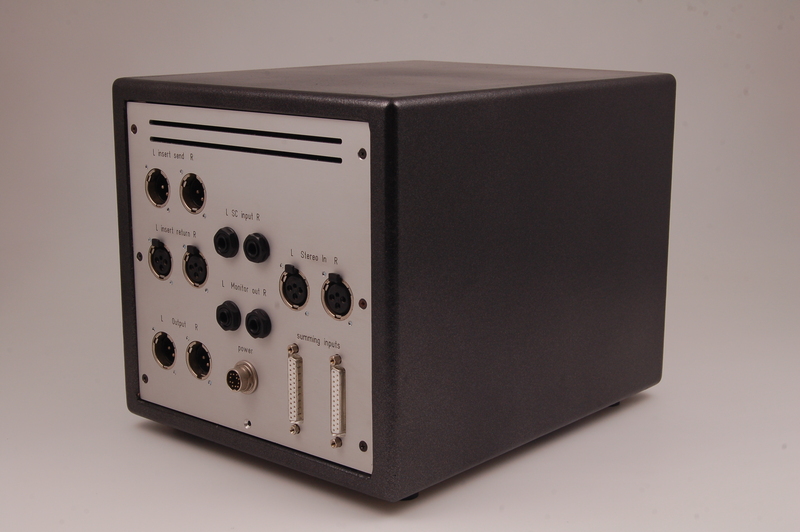 This was actually the first unit for which I ordered a custom CNC engaved frontpanel. 24in, stereo out. 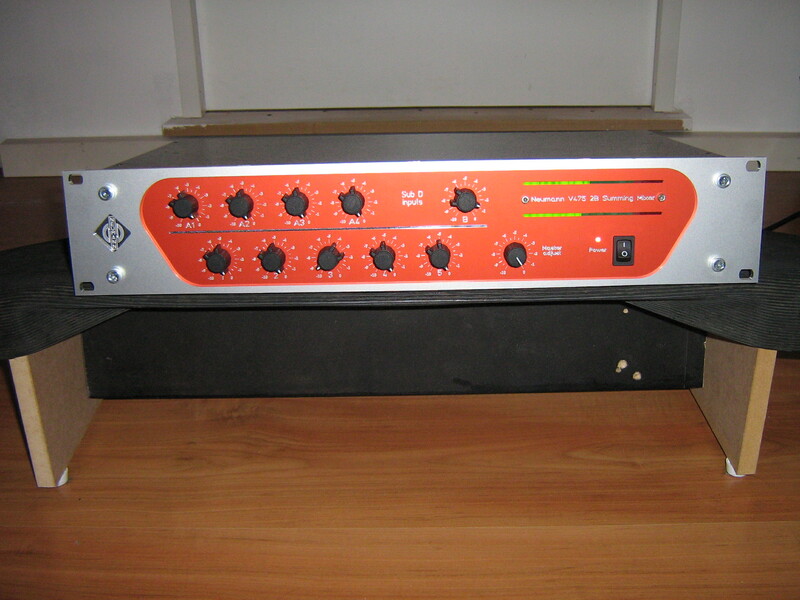 This unit is sold to an Italy based producer/engineer. 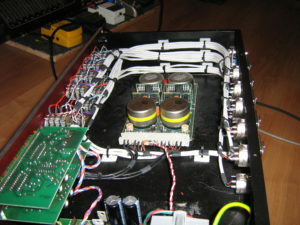 Stereo 5 band Sontec equaliser clone. DIY project of Igor. Built for a client in Sweden. 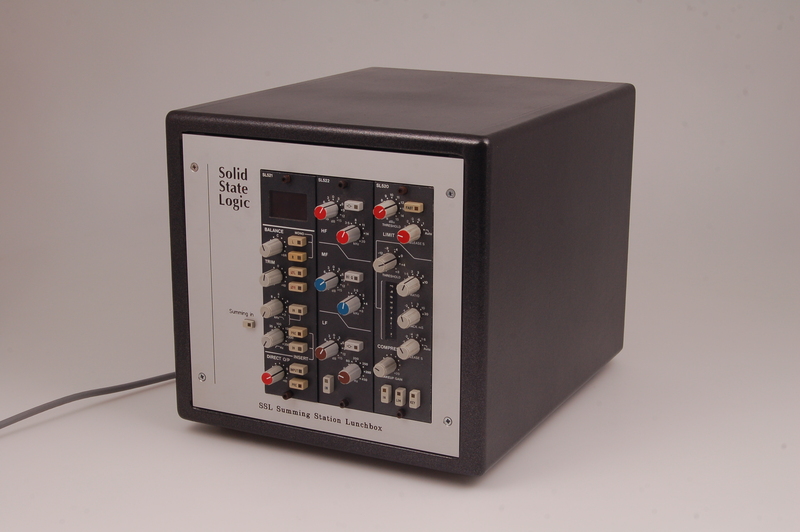 Solid State Logic summingbox. 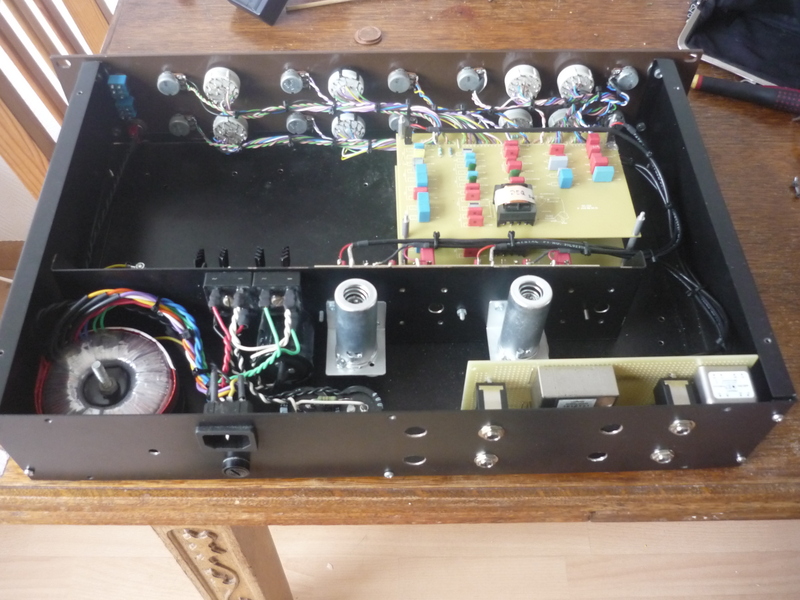 Custom-built summingbox. 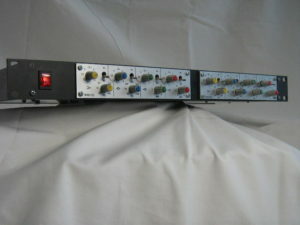 SSL sl555 summingcard with balanced passive summing resistor network, additional switchingcircuitry, accompanied by an original SSL 520 buscompressor and an SSL 521/522 stereochannel with 3 band EQ and LP/HP filters. External PSU. Custombuilt for a client in France. SSL Summingbox rear. 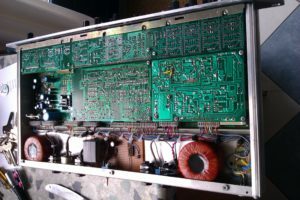 Notice the 2x DB-25’s, these are the inputs to the summingcircuitry, providing 8 stereo channels for summing. Beltman Audio is no longer active.